We were thrilled to see our LOTUS product highlighted in this month's issue of Wine Business Monthly -- and are even happier to see a picture of the LOTUS on the cover of the magazine! 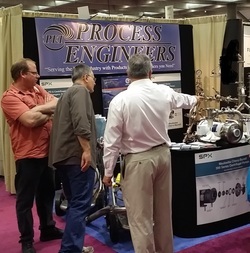 A big thank you to Matt Crafton of Chateau Montelena Winery and Richie Allen of Rombauer Vineyards for sharing their positive experiences using the LOTUS -- and to all of our customers for your continued support and trust. If you have any questions regarding the LOTUS or our Ace products, please contact us or any of our vendors (all of our products are sold exclusively via our vendors). Harvest is once again approaching, and we're looking forward to the smell of pumpover-assisted fermentation. We're thrilled that LOTUS is becoming more and more popular both within the Valley and abroad, at wineries small and large. If you're considering the purchase of a LOTUS system of your own, please contact us or any one of our vendors to learn more about our flagship pumpover device. ​At Vintuitive we're committed to designing winemaking tools that are thoughtfully designed and rigorously tested. As part of that testing, we've subjected our entire LOTUS line to continuous use under high-flow conditions to ensure that the design incredibly durable and easy to service. While we can sometimes get away with testing smaller units in-house, our heavy-duty 12" LOTUS designed for 3" lines required help from friends with a better testing setup. ​Thankfully, the unit made it through countless hours of high-flow use unscathed. Check out the video on the right to get a sense of how durable this device is! Have a LaGarde Tank? Pair it Perfectly with a LOTUS! "La Garde cubic and rectangular shaped fermenters are designed to maximize the skin-to-juice contact ratio to optimize fermentation in a way no other can. The square surface as opposed to round one in tanks of the same width, offers at least 25% more contact surface area between the grapes’ flesh & skin and the juice.A larger contact surface area results in a thinner cap of must. Therefore, it is much easier to punch down, to provide more efficient pumpovers and to facilitate the cooling during the early stages of fermentation. All this helps the winemakers to save time and to reduce intervention procedures." Vintuitive Winemaking Tools is thrilled to have LaGarde onboard as a LOTUS supporter and looks forward to being featured at their Unified booth later this month. Harvest is Almost Upon Us! We're busy preparing for an early harvest, and suspect you are too! 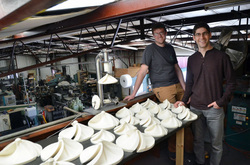 Making LOTUS pumpovers is a complex process that's done right here in St. Helena, at York Machine Works. Below are some photos of the latest batch. Thank you all for your interest in and support of our products. We have a lot of fun designing and figuring out how to manufacture advanced winemaking tools, and are thrilled that winemakers around the world agree that the LOTUS works great! 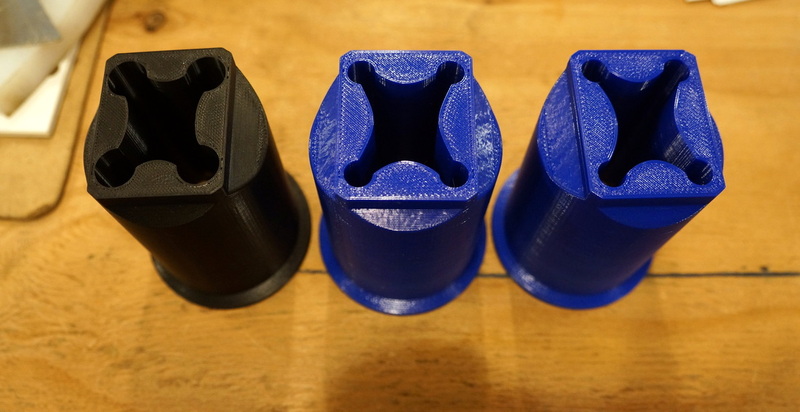 3D printing is typically our first stage of testing. Here you can see several iterations of a special adaptation of our square flow conditioner: this one was being specially-designed for a rectangular tank. Thank you to all that attended! Please be sure to pass along any new product ideas, and let us or any of our vendors know if you have specific questions about the LOTUS or square flow conditioner. We'd love to help you out before harvest season! Vintuitive Featured in Wines and Vines Product News -- Again! We're proud and thrilled to be featured online in Wines and Vines' "Produce News" website and e-letter, as well as within their upcoming July issue in print. Thank you again to the Wines and Vines team -- your coverage of our products has been instrumental to our success! We've been hard at work and are excited to announce a new winemaking tool to the LOTUS lineup: the Square Flow Conditioner. 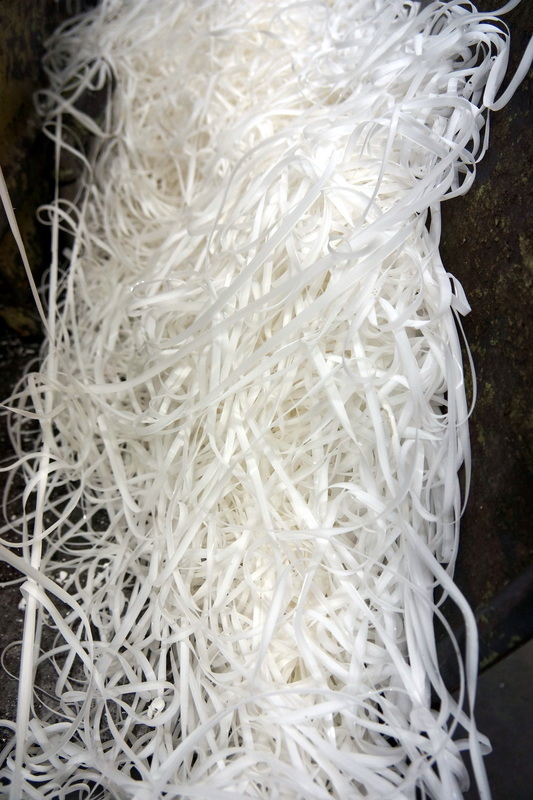 The Square Flow Conditioner is designed specifically for use with square fermentation tanks, and works in conjunction with existing LOTUS technology. Although square tanks are attractive from a packing efficiency and cost standpoint, the task of irrigating caps with this shape has made square tanks problematic for many. Vintuitive's newest invention smoothly distributes juice over square tanks without overshooting on the edges or missing the corners. 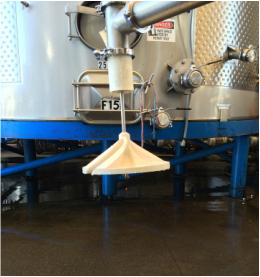 Winemakers will no longer need to rely on manually wetting the corners of their tanks, nor will they have to deal with excessive splashing onto or over the sides. On the 11th of June we'll be demoing the new device at Silverado Vineyards between 4:30 and 6:00PM. Wine and small bites will be served, and the event is free and open to all. We hope to see you there! You can read more about our announcement and the live demonstration here. We're thrilled to return to Unified again, now represented by more vendors than ever! In celebration of the event, we'll be offering a 10% discount on all LOTUS products that are ordered from any of our vendors between Wednesday the 28th of January and Wednesday the 4th of February. "Vinnovation LLC" Is Now "Vintuitive Winemaking Tools LLC"
We're trying our best to make the change seamless for all of our customers and followers. All previous links to Vinnovation LLC will automatically redirect to Vintuitive Winemaking Tools LLC, and our old email addresses will continue to work. We look forward to continuing our same mission to revolutionize winemaking tools -- thanks for the support! Carlsen & Associates is Now a Vendor! As of September 2014, Carlsen & Associates will sell the LOTUS pumpover head. We're proud to be carried by them as well as our other top-notch vendors. We're Ready for Pumpover Season -- Are You? Vinnovation in the Local Paper! Did you see us in the Register and/or Saint Helena star? A big thank you to the Napa Valley Register and to writer Kip Davis for the fabulous press. We are proud to be a part of this community and to design and manufacture our products locally. Thank you all for the support! Thank you to Wines and Vines for making letting others know about LOTUS. We were featured in the March issue of the magazine, online in their "Winery Product News" section, and in their e-newsletter mailings. 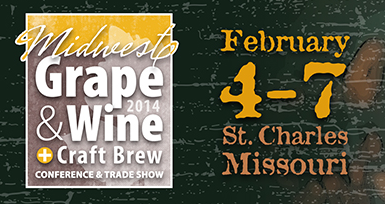 Napa Fermentation will be have a LOTUS unit on display at the Midwest Grape and Wine conference (February 4-7 in MO), the Eastern Winery Exposition (March 3-6 in RI), as well as the Wineries and Breweries Unlimited convention (March 11-14 in VA). We hope that some of you will get the chance to see LOTUS first hand! It was great seeing you at Unified! Big thanks to Process Engineers and Cellar Master Supplies for hosting us! We hope that you saw us on at winebusiness.com -- thank you once again to all of the local winemakers and cellar masters who were so instrumental in the development of LOTUS. Please stay posted for further product updates and company news!